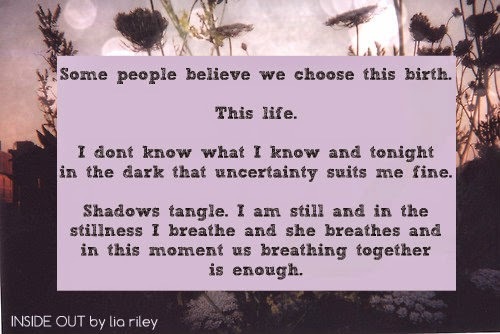 Good Choice Reading: Release Blitz & Giveaway: INSIDE OUT by Lia Riley! 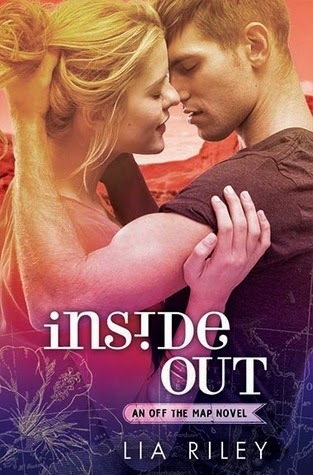 Release Blitz & Giveaway: INSIDE OUT by Lia Riley! “Show me the way back to you.” He buries his face in my neck, drags his lips to the place behind my ear, the headwaters for all delicious shivers. He’s right. We’ve been explorers for some time. During the last little while it’s as if a blizzard descended, we were stuck in a whiteout, so close, but the snow made everything indistinguishable. At last, the storm’s abating and he’s right there, and I’m over here. Suddenly, we can see each other. Within us is the way forward. We each possess half of the compass and must join together to find the right direction. “You’ve got to know how much I need you.” A lock of his wet hair twists in a boyish curl. 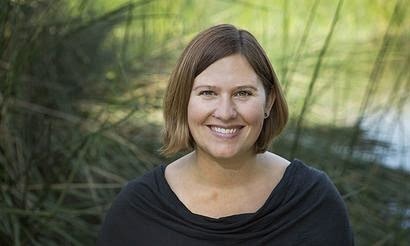 I go to smooth it down, but my fingers tangle in the thick waves, and instead draw him closer. We rest our foreheads together, holding one another upright. Droplets fall from his hairline onto my cheeks, joining fresh tears. He’s water, I’m water, and our flotsam and jetsam fit in a way that’s strange, yet familiar. I have no idea where we’re going, only that the way out is lined with broken feathers, bloodstains, marrow ash, and the serrated teeth of sharks. This journey will take all I’ve got, a small price to have everything. And that’s exactly what this guy in my arms is.